On Memorial Day weekend, Friends of Humanity president Renel Noel went to Port-de-Paix, Haiti with Andrew Hayward Smith. The purpose of the trip was to acquaint Mr. Smith with our projects at House of Hope and Beraca Medical Center and to photograph our work for documentation purposes. Some of these photos are below. You can see all of Mr. Smith’s photos on our gallery. 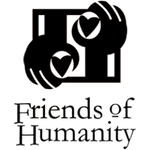 In July 2014, Friends of Humanity president Renel Noel will take a group of 14 to Haiti, including the children of board members who have been raising money to purchase water filtration equipment. These small devices cost just $20 apiece and enable an individual to filter local water for drinking and lasts a year. A larger device that last three years costs $350. Unclean water is responsible for much of the disease and illness in Haiti. Clean water can help prevent outbreaks of cholera at Beraca Medical Center and House of Hope. Both Jackie Frazey and Ryan McDonell have been active in their schools in helping to raise money for this project.